BeeMarried Event Management Service was established in 2007 and is a day of event management service only. For the couple who have planned the entire wedding and are ready to hand off the final details to a professional. 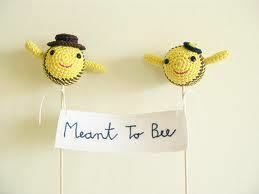 BeeMarried events will pick up where you left off and tie up all loose ends with your hired vendors. We want you to be able to look back at the photos taken on your wedding day and see a happy relaxed bride enjoying a perfect day with her family and friends.